In my last article we learned to find true north by using the Big Dipper (or the Big Bow and Arrow) to find the North Star. Now we’ll learn a little more about basic navigation by the using the sun and moon. Instead of navigation, perhaps I should say celestial orientation. Because, as well as finding your way to or from a place, any method using the sun and moon can orient you to the time of year, thus indicating wild food sources and animal habits, planting and harvest opportunities, or simply if it’s time to move up into the mountains or down into the valleys in a comfortable manner. Needless to say (you would think) these intellectual technologies are only for the intellect. The body itself is a microcosm of the universe, all the knowledge you need to stay comfortable in nature is encryped in the senses. If you’re cold? Get warm. If you’re thirsty? Find water. Tired? Sleep. Without food and water, the animals would have no mouths or stomaches. Without night or day we would not sleep or wake. Like there are no flowers without bees and no bees without flowers, there is no desire in our design that can not be satisfied by the world which is our mother. They are inseperable. But knowing the patterns of the seasons will help to find their reflections within, so you can honor and observe with awe this universe which is you. 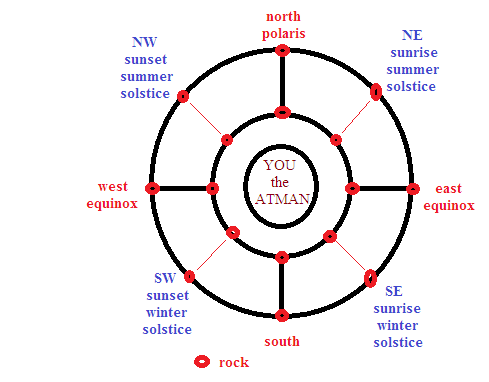 As you can see, the relation of the sun to the cardinal directions has significance in both bearing and the current season. 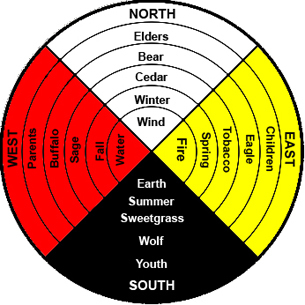 That’s why pagans, druids, and wiccans use the year wheel; and why Native Americans use the medicine wheel. They combine the directions and the seasons into a single diagram. 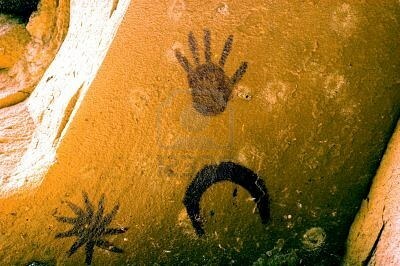 For example, Stonehenge is a physical calender which marks the seasons and the directions. You could easily make one using three concentric stone circles on level ground. It would take a year of observation to make an accurate model, but after that you would have a rough almanac that would last for ages. Here’s a basic example, so you get the idea. Now compare that sketch to the pagan wheel of the year, the Native American medicine wheel, and the Chinese bagua compass. Each year, you should follow the seasons. Spring is the time for new growth, movement, exersise, and fresh activity. Summer is the time to release your vigor fully, to work on endeavors begun. Autumn is a time of harvest but also of preparation for the winter. Winter is a time when nothing moves. Everything withdraws into the earth or dies. Now, on to that big alabaster orb in the sky, the moon. The moon is exceptionally tricky to navigate with. In fact I’ve often heard conflicting information on the matter. But it’s simply important to remember that there’s almost exactly thirteen full moon cycles per year (where did there thirteenth moonth go?). 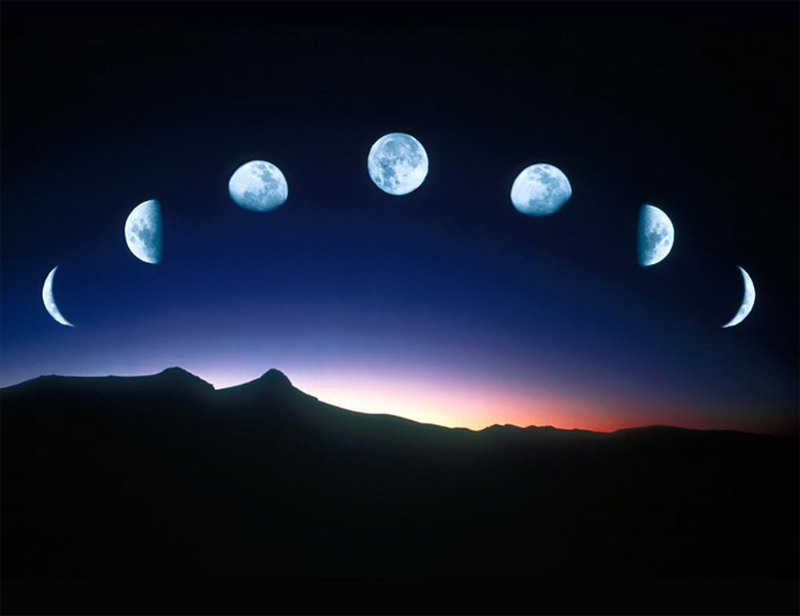 Here is a table of the patterns of moonrise and moonset throughout a moon cycle (thanks to Cornell’s website). And here is the rather complicated table that shows the direction of the moonrise/set by season and phase of the moon. There’s no trick I can think up to make this information easier, but it’s good to know if you’ve got the patience to understand it. There are some rough ways to use the moon, however, that require less of a headache. 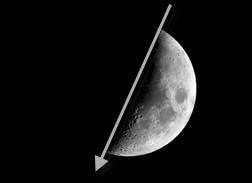 If there’s a crescent moon, imagine a line running from the upper to the lower tip. Where this line meets the horizon is roughly south. 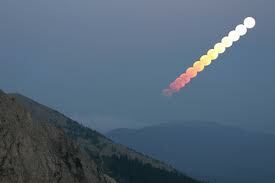 Also, if the moon rises before sunset, its illuminated side will face west. If it rises after midnight, its illuminated side will face east. Considering that the moon isn’t always visible, you might have more luck guessing which patch of moss is facing north. But as a rough guide, that old moon can be a mighty blessing. “What kind of a gift would you like?” asked the sun. “Good,” said the sun. He brought her a gift, the best that there was. But he could not get the correct measurement. He never could. He would measure her carefully so that it would fit just right. Then he would bring the gift and it would be too small, or maybe too large. So it went on, and he never could fit her. 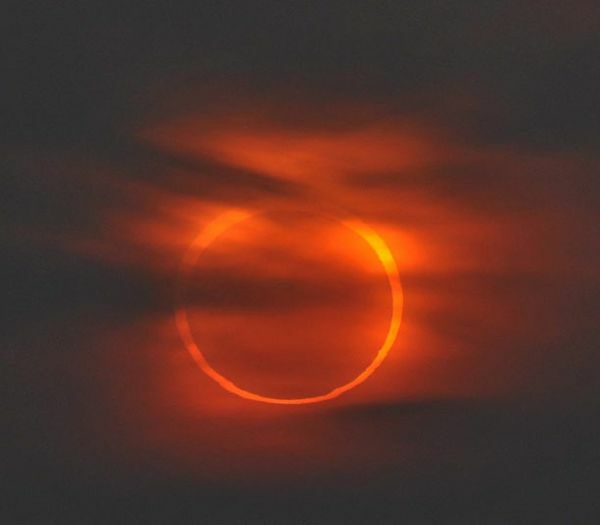 Solar eclipse, Sun trying to hug the Moon! Aww. a day of wind and moon. Next we’ll look at the Zodiac constellations as they relate to the seasons, the sun, and the earth, and cap it all of with a few more tricks that will help find your way through the wilderness with no more than eyes on the sky. 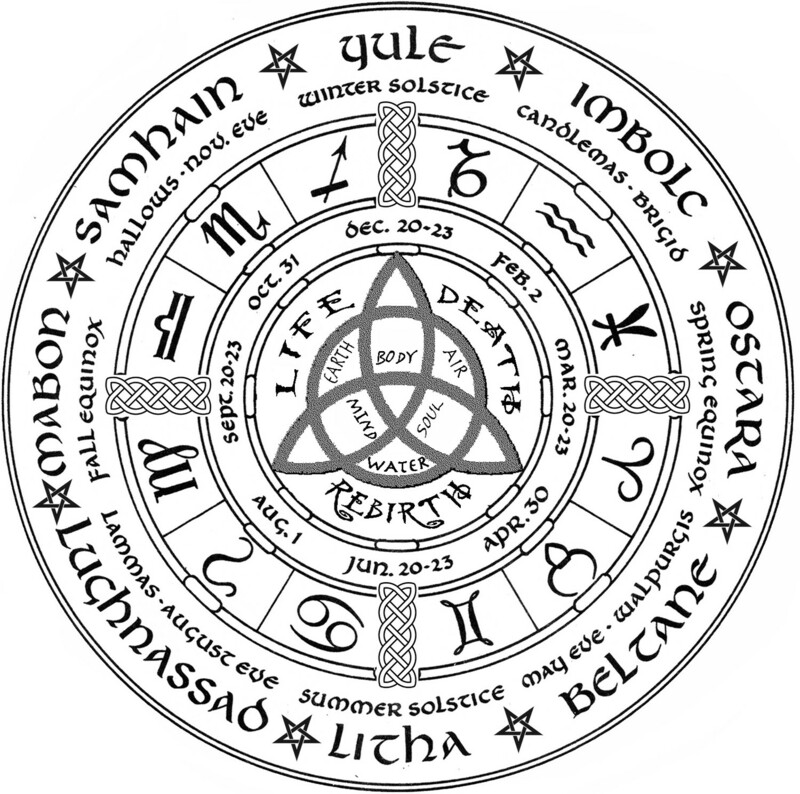 This entry was tagged celestial navigation, celtic, cycles, druid, equinox, macrocosm, medicine wheel, microcosm, moon, navigation, pagan, primitive skills, seasons, solstice, stone calendar, stonehenge, sun, taoism, wheel of the year, wicca, zen. Bookmark the permalink. Whose War Is It, Anyway? Exploring Militancy and the ITW Bomb, Anarchist Style! Postscript to the Postscript: Another Ship of Fools! Spring’s (A)-Comin! Prepare for Revolt! The Hitchhiker’s Guide to Hitchhikers & the Circus of Flying Seeds! After a Long Rest, OP is Back in Action!